Daniel Frigo is the Country Manager of The Walt Disney Company Italy and also has direct responsibility for Studio Distribution locally. As the leader of the local integrated organization, Daniel is responsible for delivering consistent annual bottomline growth across the overall company, coordinating and motivating a unified local executive leadership team made up of multiple lines of business and driving key strategic one company franchise plans for Disney’s portfolio of brands and properties. 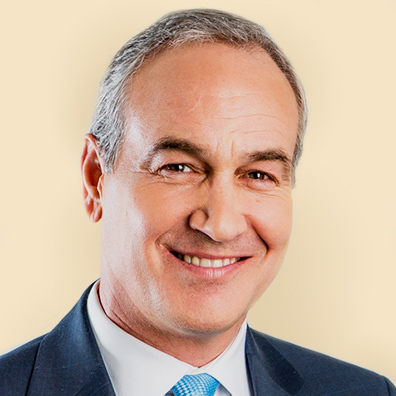 Previously as Executive Vice President and General Manager of the Walt Disney Studios Motion Pictures Group (WDSMP) for Europe, the Middle East and Africa (EMEA), Frigo was responsible for the distribution and marketing of all the feature films released by The Walt Disney Company in the region including films from Pixar, Dreamworks, Marvel and those acquired by Disney. In 2009 he was named International Distributor of the Year at Cinema Expo, one of the main events in the industry for the EMEA market. He joined The Walt Disney Company in 1992, and was based in Burbank for the first three years at the Walt Disney Studios Corporate Headquarters, where he helped build the Studios’ first international feature film distribution division. He then moved to London to coordinate the Distribution and Sales department of WDSMP’s EMEA. In 2000 he also managed the launch of the Walt Disney Studios Home Entertainment’s (WDSHE) Emerging Markets Group. In 2005 he became Senior Vice President and General Manager of WDSMP EMEA, and a few years later he took on the role of Walt Disney Country Sponsor for Germany, Austria and Switzerland. In 2008 he also became Managing Director WDSMP for the studio in UK and Ireland. Born in San Francisco in 1962 from an English mother and Italian father, Daniel lived in both the United Kingdom and Italy for over 25 years. He graduated with a Degree in Political Science and Italian Literature from the University of California, Berkeley and also holds a Master in Business Administration for Marketing from UCLA. ©Disney 2019 All Rights Reserved.